PayPal is the faster, safer way to pay and get paid online, allowing its members to send and receive payments without disclosing financial information.Now you can examine your paypal transactions with free web tool named AnalyzePal. AnalyzePal provides free analytics & reporting package for your PayPal’s data. It works by importing the downloaded transaction history in CSV format from your PayPal account. 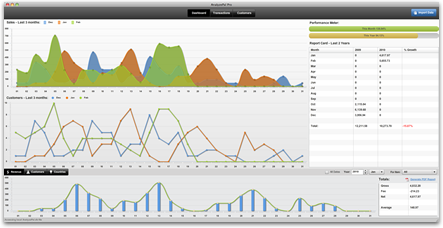 And then provides an intuitive interface for analyzing and sharing the data. This is a must having application for those who uses PayPal for doing business online. It works with any type of PayPal account even if it is non-verified. AnalyzePal is the Adobe-AIR application,so you need to install air application first. With the free version you can analyze in detail transactions of the last three months, where you can also export the data to a PDF. Apart from the free version, AnalyzePal has paid & pro-featured versions that can filter data by customers, countries. So visit their site and download the AnalyzePal.